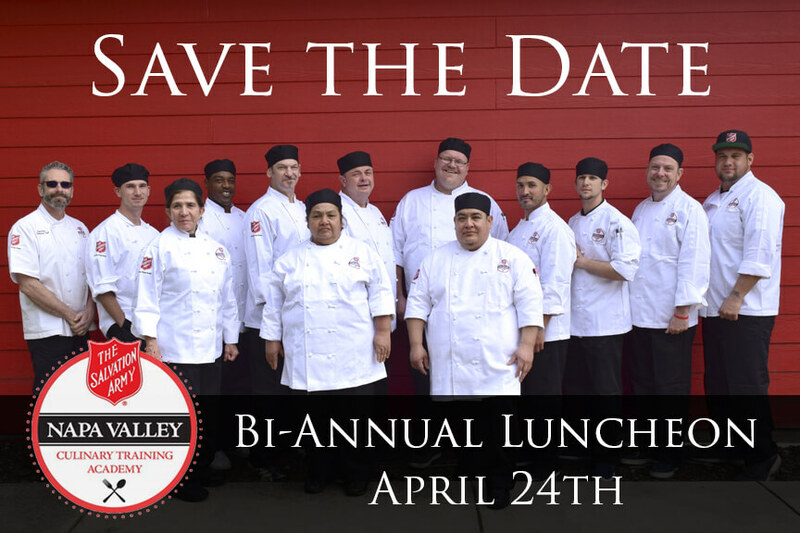 You are invited to The Salvation Army of Napa to celebrate it’s 5th culinary class at the Napa Valley Culinary Training Academy! Enjoy a tasty meal and congratulate the culinary students one week before graduation. Students prepare approximately 1,000 meals a week that benefit the South Napa. Shelter, elderly on fixed income, and the local Salvation Army feeding programs. Without the dedication and hard work from these culinary professionals this would not be possible.